BOULDER, Colo. — Walk around Colorado University at Boulder’s Norlin Quad and you are bound to find yourself in a scene right out of a college catalog. Students throwing footballs and Frisbees while others lay out, trying to enjoy the fall weather while it lasts. Yet walk around on a Thursday afternoon and you might think you have walked upon a traveling circus preparing for their next high wire act. 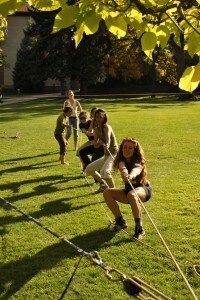 CU Boulder’s Woman’s Resource Center has recently added a women’s slackline course to its list of activities. 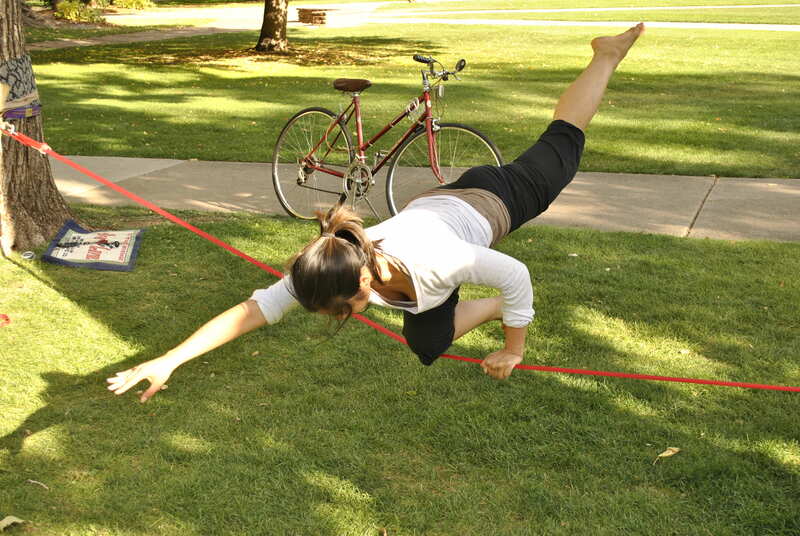 Slackline is a cross between tight rope walking and bouncing on a trampoline. The line’s tension is set to allow the line to move, enabling participants to use the line as a springboard. Ashburn, who is sponsored by Gibbon Slacklines, has competed in several invitational tournaments in Germany, including the World Championship in Friedrickschaffen. It was there that she took the top prize in the woman’s category. While Ashburn is proud of her accomplishments in competition, her true passion is getting more women on a slackline. “It’s really wonderful to see these women I taught coming back and getting on longer lines now and starting to be curious about how can I do these trick…it makes me proud,” said Ashburn. The community of slackliners in the United States is quiet small, despite the sport getting its start in California during the 1970s. France and Germany are considered to be at the forefront of the sport when it comes to public exposure. 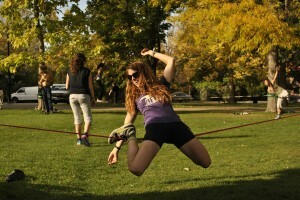 Ashburn’s goal is to foster a community of slackliners in Boulder. “The cool thing about slackline is that for every slackline you give away, 5 more people get addicted… once you try it, it is so much fun,” said Ashburn. Considering the passion her students show for the sport, Ashburn is well on her way to building that community in Boulder. 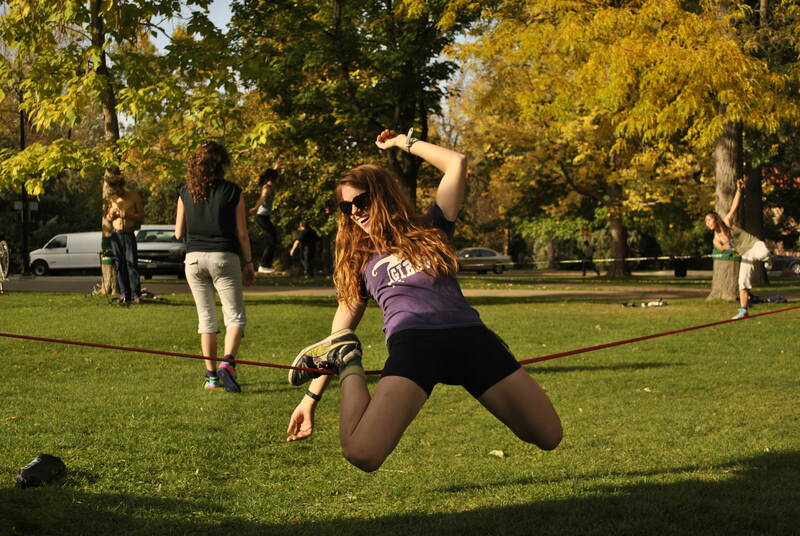 While slacklining might seem like a sport that requires months of dedicated work just to learn how to stand on the line, many of Ashburn’s students said the opposite was true. 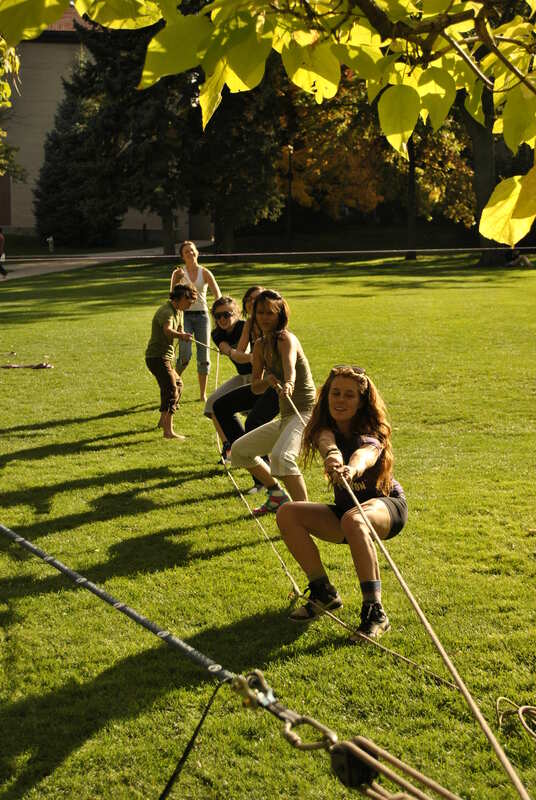 “If you focus on it for a good couple of hours here and there …in a weeks span, you can start walking,” said CU student Kim Abcouwer, who has been slacklining for three years. Most slackliners tend to be climbers who were just looking for a way to strengthen their core. “Unlike climbing…you have that instant reward of learning a trick…and you know that trick forever,” said Cassandra Miertschin, a 21-year-old transfer student from Texas, who has been slacklining since August. For Ashburn, the sport is not just about doing splits and flips. It is about the community slacklining builds. “It is totally a social activity,” said Ashburn. “That is why you make so many friends out here.” Ashburn is doing everything to make this sport more popular, especially among women. Yet more people slacklining means more competition at tournaments for Ashburn. While Ashburn lost in her last tournament, she seemed almost elated at the level of competition she is seeing at slacklining events. “Its really wonderful to have competition popping up because it means that the community is growing,” said Ashburn. Really thrilled and proud to read all this about you,Haley.congratulations to you for all the effort and accomplishments.